There are two main models of the Saturn available and many versions of each. Unfortunately, I didn’t have enough resources to test them all, but hopefully what I have can point you in the right direction. First and foremost, all the Saturn consoles I tried looked great. Unlike SNES systems, there wasn’t one that outputted “bad” video quality. That being said, some consoles looked better than others and determining which is best isn’t as easy as saying “buy the black one”: Each model has different motherboard revisions and different regions (PAL or NTSC). As of now, I haven’t found one specific site that has information on output quality, but as soon as I do, I’ll update this page. 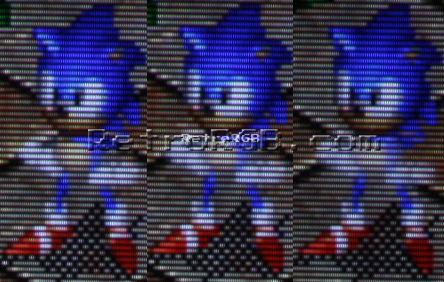 Based on the consoles I tested, the Model 1 generally produced a better picture than the Model 2. Maybe the issues I ran into were regional (I only tested NTSC US consoles)? Maybe the issue was motherboard revisions? The only thing I can say for sure is all the Model 1’s I tested looked awesome and I’ve never heard of anyone having one that looked bad (that wasn’t broken). As a result, if you don’t already own a Saturn I’d have to recommend getting a Model 1. The difference isn’t as drastic as other systems, but when I played one right after the other, you could easily tell the difference between the two. That being said, if you own a Model 2, definitely don’t run out and buy a Model 1, as the output quality is still excellent. Also, there’s a chance you have a better motherboard revision than the Model 2’s I tested. If you’re done, click here to go back to the main Saturn page. If you’d like info on mods for other systems, head to the Getting RGB From Each System page or check out the main page for more retro-awesomeness. Sega Saturn Game Lot TESTED! GunGriffon (Sega Saturn) - CIB Complete in box; nice condition! Street Fighter Alpha 2 (Sega Saturn) - CIB Complete in box; nice condition! Pandemonium (Sega Saturn) - CIB Complete in box; nice condition!